The New Year is traditionally a time for making resolutions about everything from weight loss to spending more time with family and friends. It can also be a time of financial reckoning as bills for the holiday season come due. On a more positive note, the New Year offers us a chance to start fresh, getting our financial houses in order for the year ahead. With that in mind, here are some things to consider as you put together your financial plan for 2013. 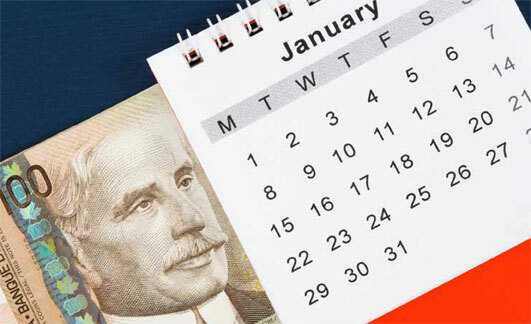 You can make both regular and spousal contributions to your RRSP for 2012 up to March 1, 2013 and are free to start making regular and spousal RRSP deposits for 2013 at any time. Your 2011 income tax notice of assessment sets out your RRSP room for 2012. But be careful not to over-contribute by more than $2,000 or you will incur penalties. The earlier you contribute to your RRSP, the more time your investments will have to compound, which can make a big difference to your savings when it’s time to retire. Remember that if you don’t use all your contribution room in any one year, the unused room is carried forward indefinitely. The tax deduction for your RRSP contribution can also be carried forward indefinitely, so you can use it in a future year when it would be more beneficial, i.e. when your taxable income is greater. In order to create maximum RRSP room of $24,270 for 2014, your income must be about $134,800 in 2013. This means that owners of companies and those who are self-employed should review their 2013 remuneration mix, revisiting their combination of salary, management fees, bonus and dividends as applicable. Also, think about whether an Individual Pension Plan (IPP) would be more beneficial to you than an RRSP. An IPP is essentially a one-person defined-benefit (DB) plan that allows well-to-do business owners, incorporated professionals and senior executives to save more than they could in an RRSP. The Tax Free Savings Account (TFSA) can be an excellent supplement to your RRSP. If you haven’t started one yet, don’t worry – you can catch up for the years you missed at any time. You can put up to $5,000 in a TFSA for each of the years 2009 through 2012. The maximum contribution for 2013 is $5,500. Unused TFSA room can be carried forward to 2014 and beyond. Unlike the RRSP, there is no tax deduction for a TFSA deposit. Investment income earned in a TFSA is not taxable and capital losses can’t be used as a deduction. You can make TFSA deposits for the rest of your life but don’t over-contribute as the penalties can be significant. You can withdraw the money whenever you wish but remember that cash withdrawals cannot be re-deposited until the following year. Start gathering the paperwork to file a tax return for each of your children who will have income in 2013. That includes those who are students. Most students don’t earn much so they won’t have to pay much tax in 2013. However, you’ll be creating RRSP room for them for future years when they have a larger salary. 2013 quarterly income tax installments are due on the 15th of March, June, September and December. Installments apply to self-employed individuals and to those who may not remit sufficient tax amounts at source. If you are affected, the Canada Revenue Agency will send you installment reminders. You may want to set up or contribute to a Registered Education Savings Plan (RESP) for one of your children or grandchildren. A $2,500 annual contribution per child provides the maximum $500 government grant. Family RESP plans are better than a series of individual ones if you have two or more children who will be related beneficiaries. That’s because you can have several beneficiaries with a family RESP and if one of them doesn’t go on to post-secondary school you can allocate all of the RESP proceeds among those who do. However, if you have separate RESPs for each child and one doesn’t go on to school, you will either have to transfer that child’s RESP money to your RRSP or pay tax on it as income. The maximum lifetime RESP contribution is $50,000 per child. Beneficiaries must report the money in their RESPs as income when they receive it. The goal is for students to report the taxable RESP amounts while they still have a low tax rate. Don’t forget about 2013 gains and losses allocations from mutual funds that you hold in cash accounts. If you own a mutual fund outside your RRSP or TFSA and the fund sells a holding that generates a loss or gain, you will be allocated your share of that loss or gain after it’s sold. You can apply your 2013 losses to any gains you realized in 2013; alternatively, you can apply those losses to gains from the past three years, or carry them forward. And don’t forget the 30-day rule before repurchasing the same security. Thanks to Adrian Mastracci, portfolio manager with KCM Wealth Management in Vancouver for providing valuable information used in this article.